We started the day with a little coffee and catch up and then went on to stuff our faces with super good food from one of our favourite chains Las Iguanas. We have spent many an hour talking, laughing and eating in these restaurants and always find it really hard to choose what we want from the menu as we love so many dishes! But one thing I can always be sure of is that Debbie will have it with a side of plantain! This time I had a lovely Strawberry Red cocktail which was a delicious mix of strawberry liquor, Malibu, lemon and cranberry and it packed quite a punch. 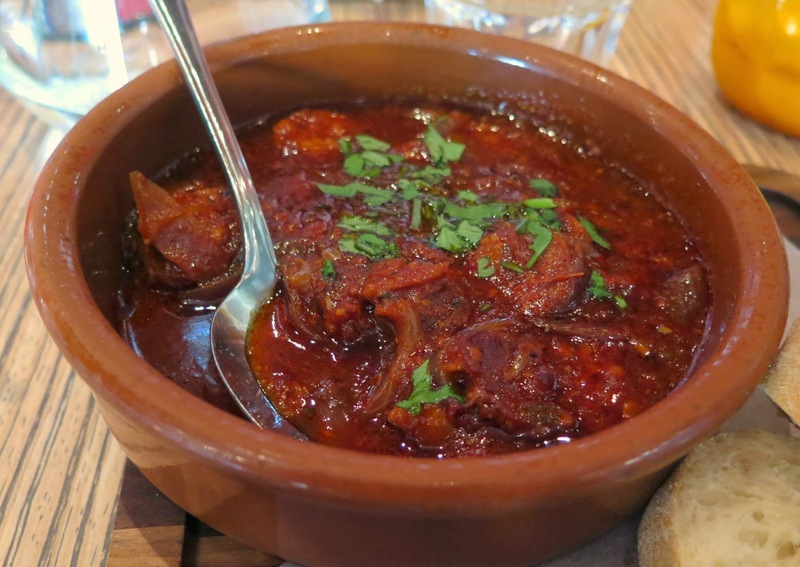 For my starter I had a chorizo dish that was braised in red wine, onion and paprika and was absolutely stunning! 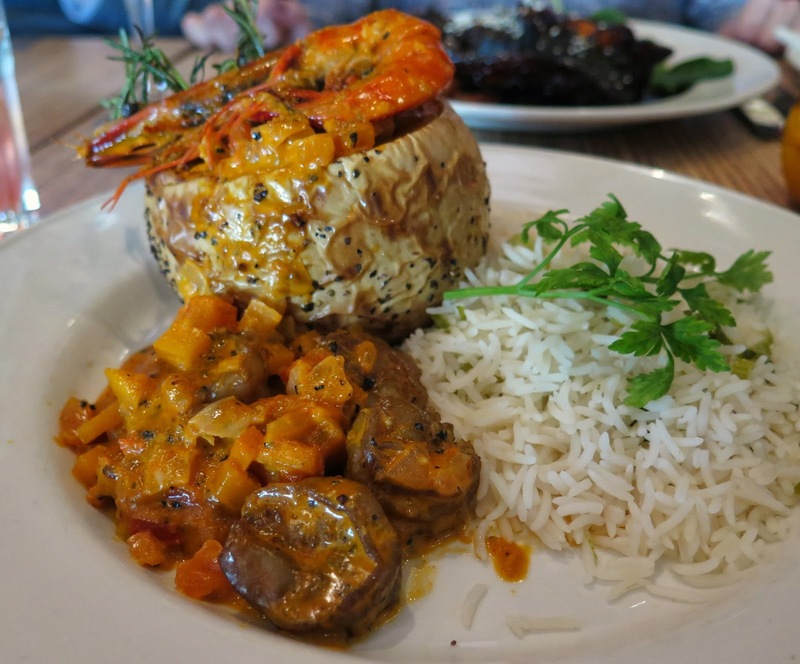 My main dish was a beautiful mix of butternut squash and prawns in a gorgeous south American spiced sauce. It was so tasty and flavoursome with some seriously succulent prawns, I really enjoyed every mouthful. 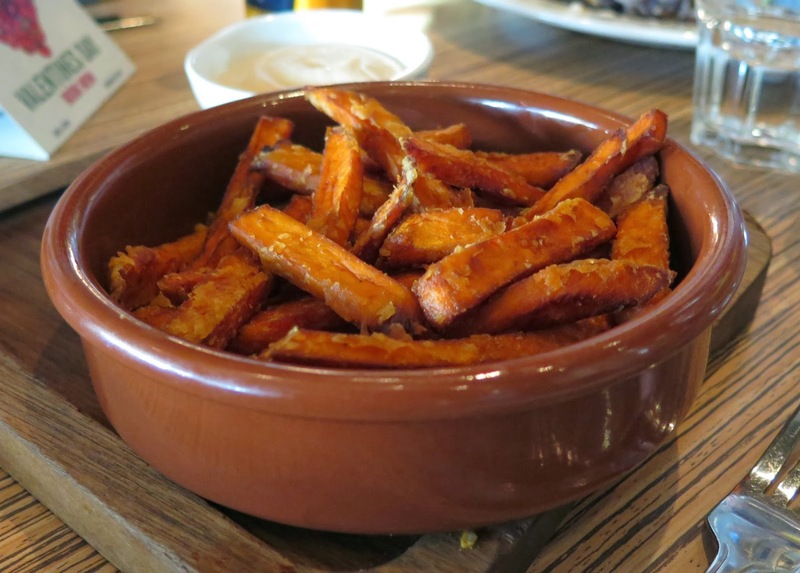 My boyfriend and I shared some sweet potato fries with a lovely aioli dip and I even got to taste a bit of my friends amazing lamb dish which was juicy and perfectly flavoured with a sticky star anise glaze. South American is probably my favourite type of food, it has such an amazing mix of flavours and I always feel so spoilt for choice whenever I go out for this type of food. Team this with Latin music and it is the best feel good combination! It just makes you feel happy. I even got to do a sneaky shop around Boots where I got a couple of Soap and Glory items which are on special at the moment! Very happy times!